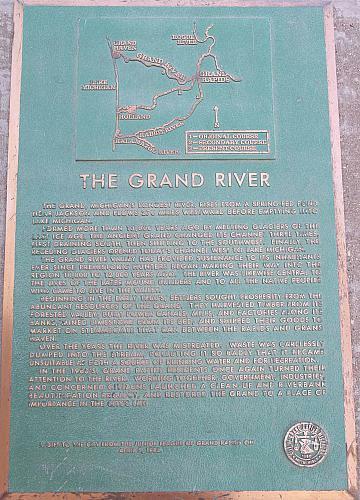 The plaque depicts the Grand River system showing its original course, its secondary course, and its present course. The text describes the history of the river and its importance to the area. 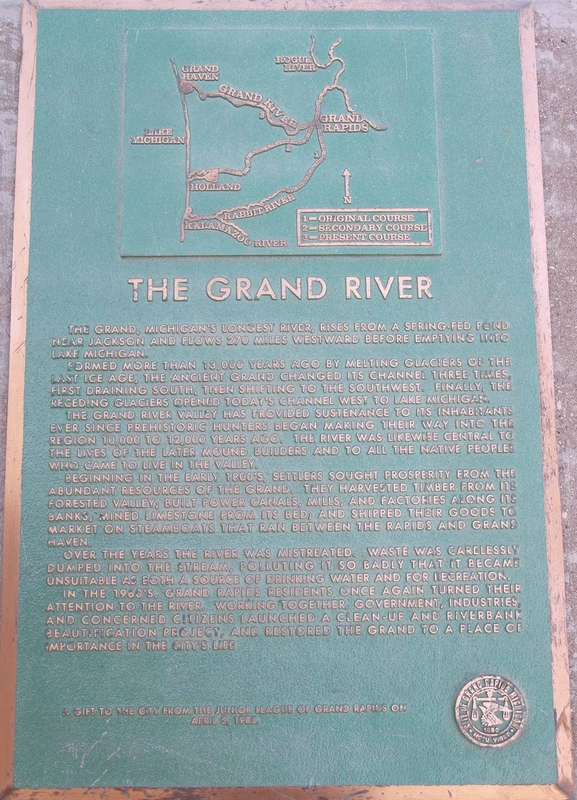 The marker was a gift to the City from the Junior League of Grand Rapids on April 5, 1983.